Easton Neston is a magnificent baroque house, which was designed by Nicholas Hawsmoor in the late 17th Century. Following significant refurbishment this beautiful, Northamptonshire house has been transformed back to its former splendour by owner fashion designer Leon Max who has made part of it the European headquarters for his Max Studio fashion house beloved of many A-list celebrities. 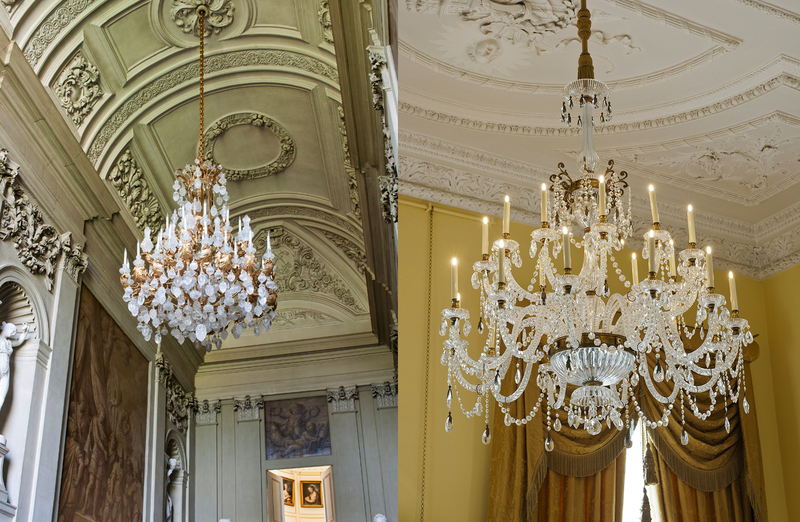 Working with celebrated interior designer Lady Henrietta Spencer-Churchill, we produced some of our finest work including a magnificent rock crystal chandelier that hangs in the grand staircase and is an accurate copy of the original Rothschild fitting. Weighing some two tons, the chandelier includes forty-eight individual lights that were hand crafted in our factory over several months. 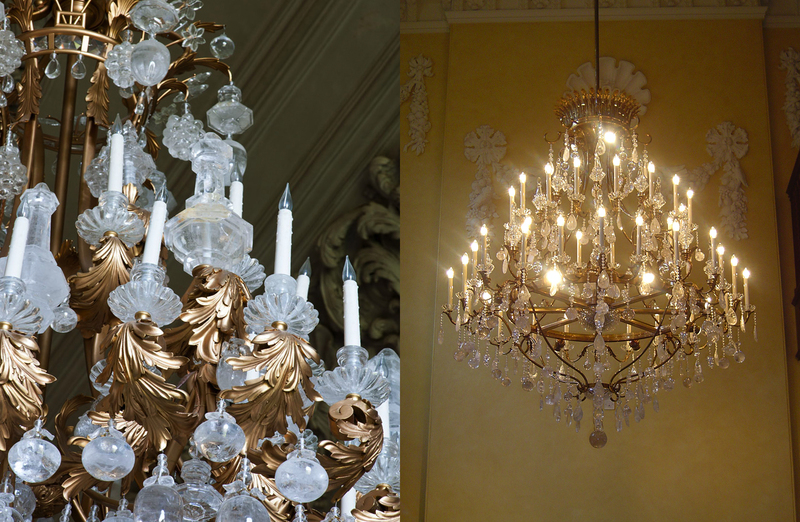 And for the dining room we made replicas of the previous fittings for which every glass component was hand cut.